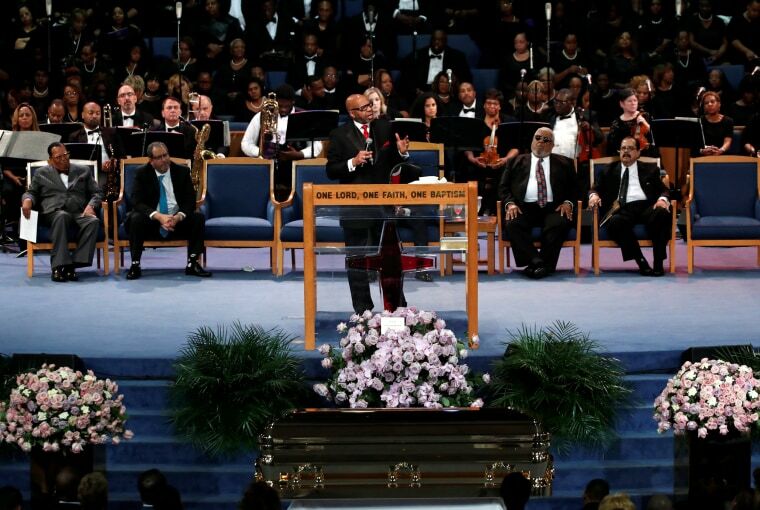 "He spoke for 50 minutes and at no time did he properly eulogize her," said Vaughn Franklin, the late singer's nephew. The eulogist, the Rev. Jasper Williams Jr., was criticized for a political address at the Friday funeral that described children being in a home without a father as "abortion after birth" and said black lives do not matter unless blacks stop killing each other.